Qatar don’t do things by half. Ever since its first offshore oil field was discovered in 1960, the tiny Gulf state’s stature has simply exploded on a seemingly unstoppable wave of wealth, harvested from the vast natural reserves of hydrocarbon fuels. According to the US Energy Information Administration, the country has become the World’s leading Liquefied Natural Gas (LNG) producer, and despite being a relatively minor crude oil exporter amongst OPEC members, it still brought in over $55bn in 2012 from that sector alone. Given that the population is smaller than Birmingham’s, it is unsurprising that Qatar boasts the highest GDP per capita in the world: over US$93,000. Doha Golf Club, which hosts the Qatar Masters on the European Tour, has irrigation for the entire 18-hole championship course, as well as a floodlit nine-hole academy course, at some considerable expense. When it comes to football, however, they are yet to have made an impression on the world stage – until now. FIFA’s decision to definitively move the 2022 World Cup to November and December to avoid the searing 50 degree summer heat was inevitable, however much the Premier League may protest, but the very fact that Qatar’s Local Organising Committee had confidently claimed to be able to install technology to cool down entire stadia shows how ambitious Qataris have become. At the very forefront of this ambition is the breathtaking Aspire Academy. The philosophy behind this oasis of bold modern youth development is in the name; aspiring to be not just competitive, but the best. Most top European clubs have made use of the facilities, while some of the foremost names in the sport such as Lionel Messi, Edgar Davids and Kevin Keegan have been drafted in to offer inspirational talks and coaching clinics to fire up the graduates. The facilities are unparalleled around the world with seven luscious training pitches, each with their own stands where youth tournaments are regularly held, with the centrepiece of the complex the world’s largest multi-purpose dome, containing a 5,500 capacity indoor artificial surface, swimming pool and 1,000-seater auditorium where talks from luminaries are delivered. Most of the coaches are foreigners, mostly from key European footballing nations, while the director of the academy is former Lazio, Real Madrid and Manchester United trainer Valter Di Salvo, whose legacy at Los Blancos is set in stone after he developed the Real Madrid TEC high-performance training centre. Aspire are not just consigned to football, however. Like many academies around the world, they nurture young athletes in many different sports, with high targets set. High jumper Mutaz Barshim is an Asian champion, Olympic bronze medallist and World Championships silver medallist, while Waleed al Sharshani was an Asian silver medallist at the age of 14. Both had their talent developed at Aspire. Finally, the football sector is also bearing fruit after a decade of unearthing and polishing the best young talent they can find. In 2014, Qatar’s under-19 side won the Asian Championship, many of whom should be targeting their home senior World Cup in four years’ time. A victory parade around Doha’s beautiful corniche after the victorious youngsters, all of whom had been trained at Aspire, returned from Myanmar with the trophy gave Qataris tangible proof that their stunning project was on the edge of providing them with the next generation of superstars. 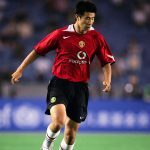 When the professional league was rebranded as the Qatar Stars League in 2003, its model was to attract global superstars on inflated salaries to play alongside the best youth players to build a swift reputation as a credible competition. The likes of Gabriel Batistuta, Stefan Effenberg, Ronald de Boer and Marcel Desailly followed the lure of one last mammoth pay-check, and for a while it seemed to be working. After the initial influx of glamorous signings, however, it became harder and harder for super-agents like Manfred Hoener to bring in the top names – Xavi aside – so the onus switched more directly onto Aspire to provide the lay the long-term foundations of success. Three former Aspire talents were once on the books of Auxerre, a club whose fabled youth policy blossomed under nearly half a century of legendary coach Guy Roux’s watchful eye. Former prodigy Abdulaziz al-Ansari had a trial at West Ham, even if he has failed to follow through on his early promise. The brightest example of how the Qataris envision their system working, however, is Diawandou Diagne. After being selected for a scholarship at Aspire in 2008, the Senegalese centre-back moved to Eupen where he spent two full seasons, before Barcelona signed him for their ‘B’ team. He made the bench at the Camp Nou for the 8-1 Copa del Rey hammering of SD Huesca in December 2013, and made his full international debut against Colombia a year later. He has since stuttered in his progress but he remains a promising talent at just 23. Akram Afif, who scored the winner against DPR Korea in the under-19 Asian Championship final, played for Sevilla’s under-18 side before a move to Villarreal, and now turns out for Al-Sadd back home where he’s proving himself as one of he league’s best young stars. The continued presence of young talent at Eupen, in a seemingly obscure location of another continent, is no coincidence. In 2012, Aspire bought the entire club as a way to provide their graduates with a direct pathway to first-team action in a potentially more competitive environment. Qatari incursions into the promised land of European football had already been made with Qatar Airways’ blockbuster sponsorship deal with Barcelona, Qatar Investment Authority’s (QIA) takeover of Paris Saint-Germain and Sheikh Abdullah bin Nasser Al Thani’s ownership of Málaga, but the Eupen enterprise is a whole other kettle of fish. When the Abu Dhabi United Group took over Manchester City from the convicted tax evader and former Thai Prime Minister Thaksin Shinawatra, they made a statement talking about the “holistic” approach they wanted to establish at the club. The opening of the Etihad Campus was a material symbol of this, but at Aspire this ethos had already been in place for nearly a decade. Sheikh Jassim bin Hammad, one of the brains behind Aspire, saw that Qatar’s first two weekly sports newspapers, one in Arabic and one in English, were established on the premises. Then there is the state of the art sports medicine facility Aspetar, which has been used by a host of top players such as Yaya Touré, Didier Drogba, Nabil Bentaleb and Sofiane Feghouli for their rehabilitation. Nearby states such as Dubai and Abu Dhabi have invested heavily in lavish sporting events to showcase their sheer financial muscle, but Qatar has done so with arguably less swagger. David Mansfield lived there for four years at the turn of the millennium and highlights the differences between the states. “Qatar has never wanted to be another Dubai, preferring to develop quietly and slowly, and as a result has retained much of its original charm and character,” he says. Millions of dollars have been reinvested in the sustainability of the sport, and given the depth of resources available, the slightly unconventional business plan for youth development seems likely to continue for some time. Tomas Danicek is an expert in Middle Eastern football, and he believes outside views of the eye-watering expenditure on facilities are misplaced. “It’s about Qatar trying to be competitive while exploiting their vast financial resources,” he says. Harvesting African talent isn’t something Aspire can lay a unique claim to, but the scale of their operations on the continent is. Through their Aspire Dreams project, nearly half a million teenagers from nearly 600 locations across seven countries on the continent were screened in the first year of the project alone. Following this initial success, the scheme has been rolled out across 17 countries throughout Latin America, Asia and Africa, and up to four million potential stars have since been evaluated. After passing the first test, they are sent to a final stage at their country’s main centre, and the best three players are offered a month’s trial in Doha at the Aspire Academy itself, where they are spoiled with facilities far beyond what they have ever experienced before. Most have never left their home country before they arrive but are given the best opportunity to turn their raw talent into a life-changing career. Some observers might opine that this method walks a dangerous line between a humanitarian effort and a cynical attempt to attract the best foreign talent and persuade them to switch their allegiance to the tiny Arab nation. After all, Qatar has a history of offering foreigners the opportunity to pull on the maroon shirt. Sebastián Soria arrived 14 years ago from his native Uruguay, where he had been rejected at trials by various professional clubs. Now he is Qatar’s most capped player and top scorer in history, and has scored almost 200 goals representing Qatar SC, Lekhwiya, Al-Gharafa and Al-Rayyan. Recent changes to the naturalisation laws from FIFA have been tightened to curb this drastic influx of non-native representatives on national teams, but as Danicek argues, perspective is crucial when viewing this particular phenomenon: “When you put the whole situation in context, this way of importing some missing talent [such as the Soria example] is, for me, much more acceptable than naturalising players on the eve of a major sporting event, which is exactly what Qatar did once again before the 2015 Asian Cup with one Congolese player [Tresor Kangambu] and one Ghanaian player [Mohamed Muntari]. Although a large number of the 2011 Milk Cup winners, who beat Manchester United’s side that included Tyler Blackett, James Wilson and Paddy McNair in the final, were not Qatari nationals, Aspire doesn’t rely entirely upon attracting talented youngsters from abroad. As the under-19 Asian Cup win demonstrates, there are Qatari-born teenagers capable of the step up to international level. Hashim told me about how age-specific talent searches are held across the country, while Aspire officials attend school and national level events such as the Qatar School Olympics, where the cream of the crop are offered scholarships. Clubs have very little input in the nurturing of the best young talent before the age of 18; many are only released at the weekend to play for their clubs, after Aspire successfully lobbied the QFA for a commanding role in youth development. The future looks bright for the Qatar national team thanks to Aspire, and not just from the playing perspective. Manager Félix Sánchez Bas – also the senior national team manager and a former La Masia coach – is developing a team for the 2018 AFC Under-19 Championship, to be held in Indonesia, having previously worked at Aspire. The goal is to win the tournament and ensure their very best talents, like Afif, are given every chance to represent the national team in 2022 through their experiences against the very best continental opposition. While the gas remains, one thing is for sure – the world can expect great things from an academy like no other in sport today.